Thibaut Courtois, like the rest of the remaining players who were involved in the final stages of the World Cup, was due to back today, at the latest. However, it appears that he has failed to report, and the assumption is that he has gone AWOL (away without leave) to force Chelsea to grant him his exit to Real Madrid. 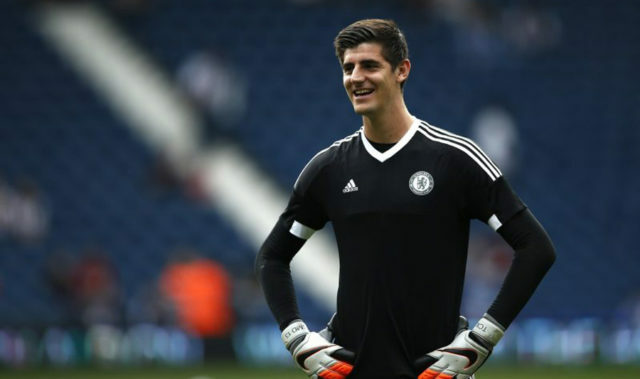 According to Matt Law, who’s apparently back from his summer vacation as well, Courtois was expected to show up on Sunday, to watch the Community Shield alongside Cahill and Batshuayi. He did not. Neither did he show up at yesterday’s 4pm training session at Cobham, where he would’ve been joined by Hazard, Kante, and Giroud as well. All those other players are back, but Courtois has remained in Belgium without offering an explanation. So it’s probably a fair assumption that he’s trying to force Chelsea to accept Real Madrid’s £35m bid (or is it €35m?). Courtois spoke with Belgian media on Sunday, calling the situation “delicate” while earlier in the week his agent basically threatened Chelsea that the club should accept the bid if they know what’s good for them. Earlier in the summer Courtois maintained that he’d be happy to play for the club for one more season even with an expiring contract, but apparently that was just a big fat lie. This inevitable exit could’ve been handled better up to this point, by all those involved, but this move from Courtois certainly takes the cake.